Muse are one of those bands I instinctively dislike. I sometimes take against a band purely on the basis of a silly name and, even if the rest of the world swears by’em, I can’t tune in. Super Furry Animals are a classic example of this. They are rubbish. Whatever you say. Muse on the other hand haven’t got a particularly daft name. In fact, my dislike was nothing more than a ‘I know they exist but I’m not interested’ until Supermassive Black Pudding came out. I think it’s the Hipgnosis style sleeve (also infecting their album) which, on any records brought out after 1976, simply smacks of desperation. 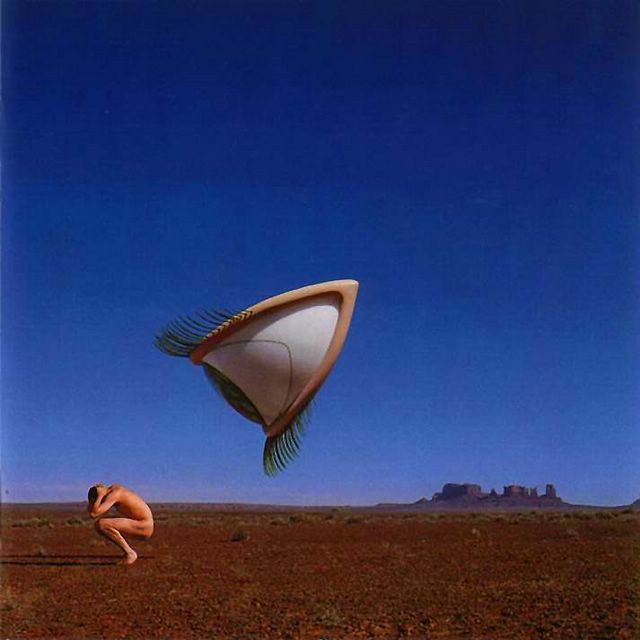 Check out the Cranberries ‘past their best’ effort “Bury The Hatchet” if you don’t believe me. Anyway, SBP had just come out ahead of Muse’s pretentious album, when I was sat having a cup of tea on purpose at the Titchy Coffee Co in Manchester’s ‘The Triangle’. 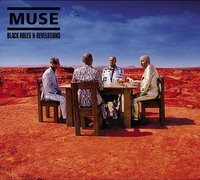 At the table in front of me was a young bloke in a Muse Absolution t-shirt sitting with his girlfriend/mother (I couldn’t decide on account of her being a bit of a biffer). They were chatting away, minding their own business when a smart looking young woman of ample proportions more or less assaulted him with ravings about how she loved Muse… how great and different SBP was… how nervous she was on hearing the title before she heard the song… how great serious/pretentious bloke’s falsetto is, etc etc. Absolution Boy and his girlfriend/mother were somewhat taken aback but joined in as gamely as they could until the raving robust foxette surrendered to lunch with her own mother. Blimey. What a shame she was so excited about Muse, I thought. Why couldn’t she have spotted the teeny weeny screen on my iPod, realised I was listening to Hot Chip and instead slathered me which her spicy enthusiasms whilst jiggling temptingly before me? The only thing sexier than a buxom foxtrella passionate about music is a buxom foxtrella passionate about gadgets. Actually, the only thing sexier than that is a buxom foxtrella passionate about music and gadgets. Actually, the only thing sexier than that is a buxom foxtrella passionate about music, gadgets and me. Well at least Mrs Backroads is buxom. And she doesn’t like Muse.